Learn how to find and recognize your most compatible soul mate, and how to value yourself so that others value you. Learn the differences between soul mates and spiritual soul families. Find out that you have more than one soul mate and how to draw that special person that is for your highest and best. Learn about the influences, both internal and external that may be blocking you from that special person, and what a soul mate is and isn’t. Discover insights on relationships between men and women – the do's and don’t-s. 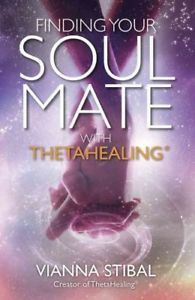 Learn the best way to manifest for your soul mate through the meditation and manifesting processes of ThetaHealing, and much, much more!